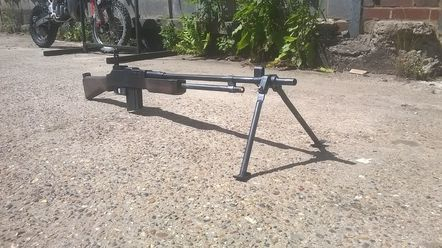 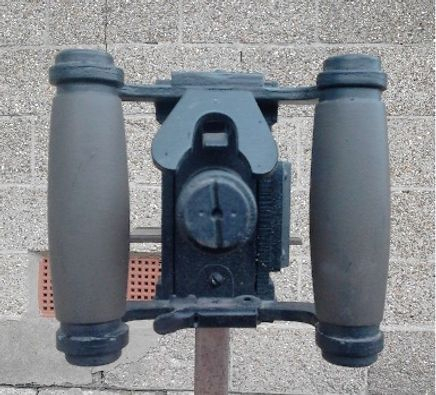 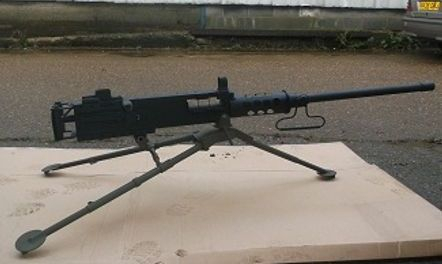 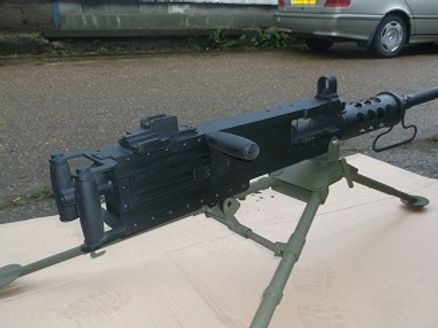 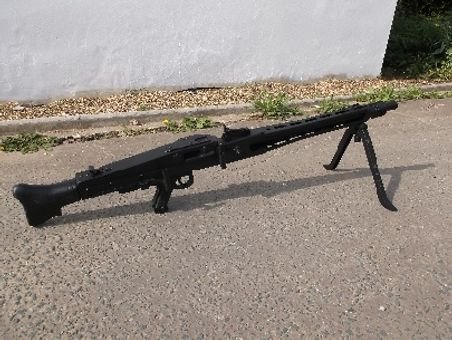 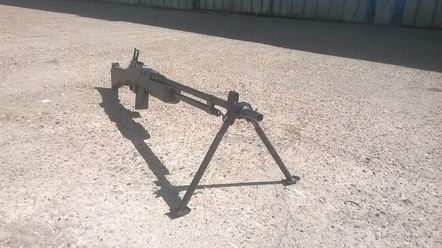 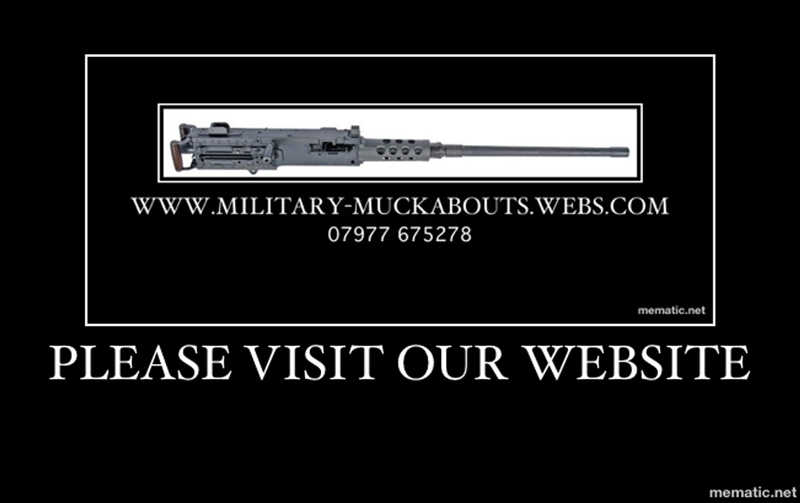 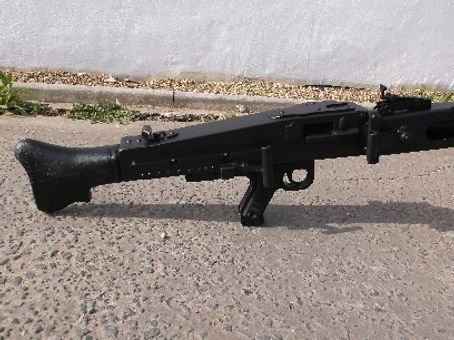 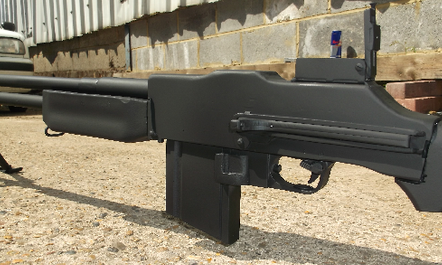 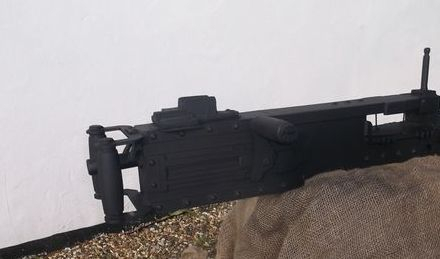 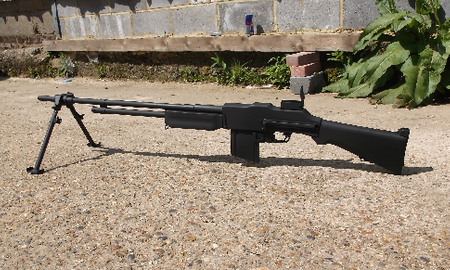 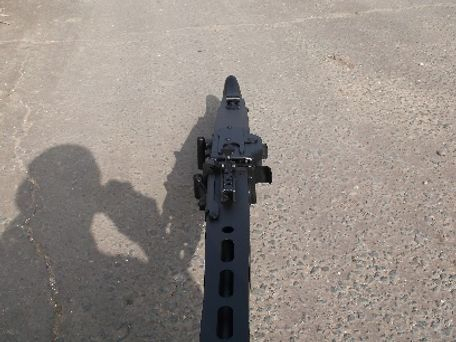 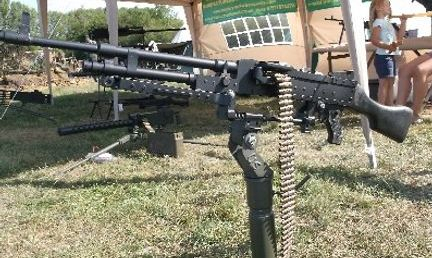 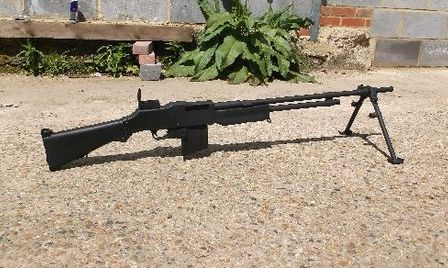 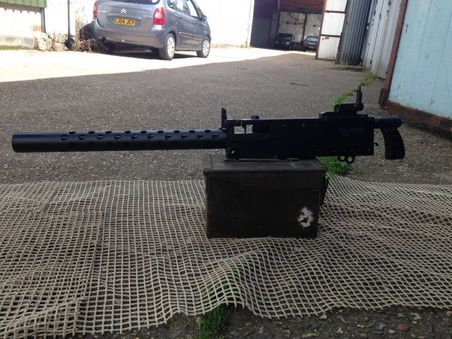 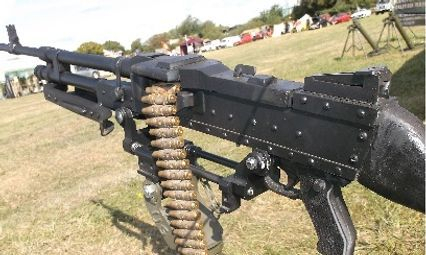 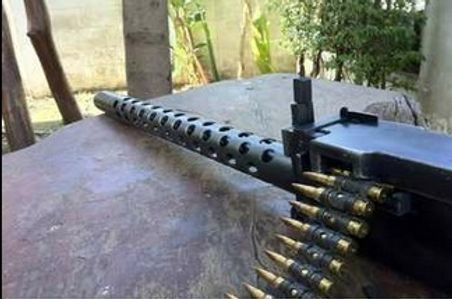 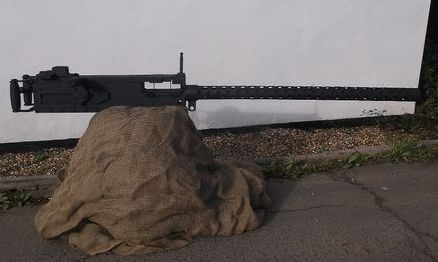 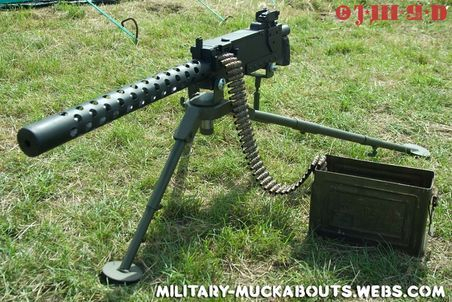 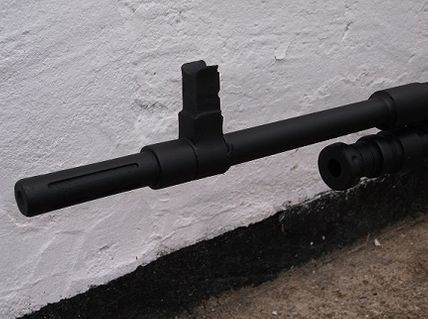 An all metal replica of the Browning 50 Cal, fully fabricated from individual parts, with an opening breach to accept an ammo belt, same weight as the real thing! 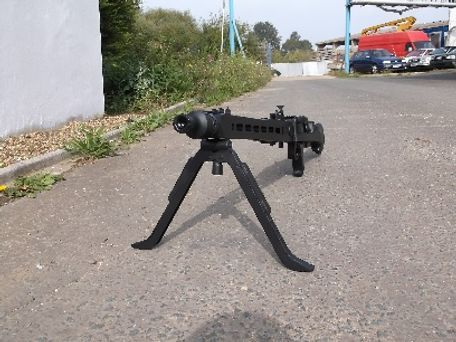 The Tripod/Ammunition is not included. 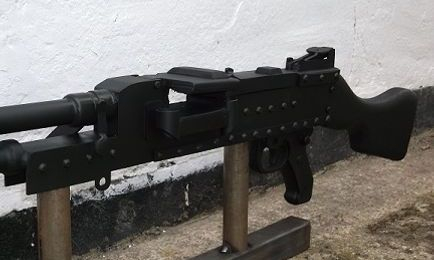 This replica is fabricated from individual high quality, 8mm thick, laser cut, steel parts.